Amazing Lists. 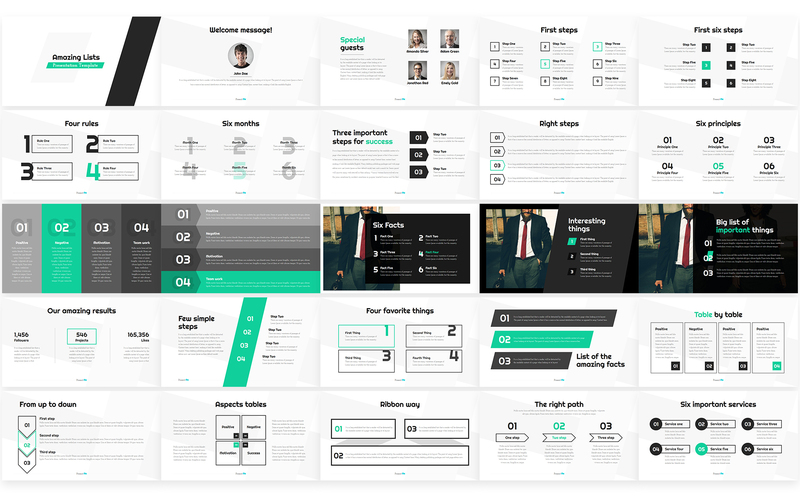 Presentation created from designer to designers, to help customers save they time. You can easy copy one of lists or elements from Amazing Lists presentation in to your project. All elements in presentation full editable, you can easy change color, size and effects. Also included the instruction file, documentation, file with links when you can download free fonts. Powerpoint file with 3000+ vector icons ( you can easy change size and color ) included.